Red Rock is our stunning red sandstone outcrop which you can climb in five minutes and then be rewarded with a lovely 360 degree view of the farm. The late-summer/early autumn full moon rises just as the sun sets - this is a really special experience from the top of Red Rock - bring torches and something yummy. 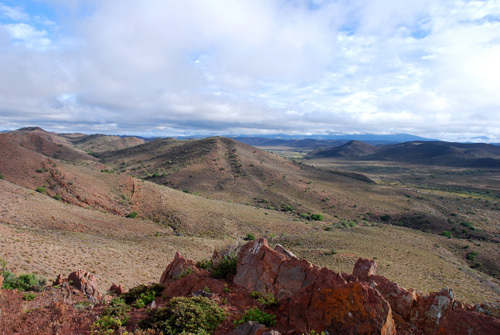 Hike north through the open Karoo valley with hidden gems like fossils, magical mini-valleys, gorgeous gwarrie trees, enchanting dry riverbeds; where giant tortoises lurk under the bushes and strange succulents grow in fields of white quartz on open terrain. Or just follow the road to our boundary and back again for an invigorating 2km walk/cycle in beautiful open terrain, any time of the day. There are many kilometers of almost completely unused gravel roads in the area for the more enthusiatic cyclist. After good rains you can have a refreshing dip in our earth dam on your way back, or in drier seasons, picnic on the grassy banks under the trees. 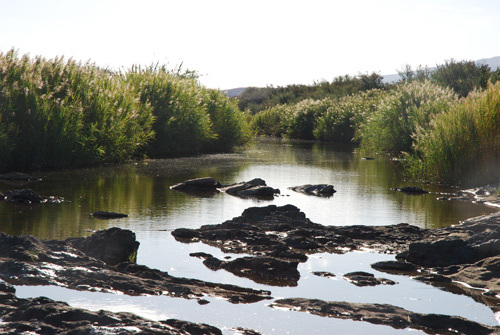 Cross the river to find more rugged Doringboom thicket leading to beautiful klofies, Karoo koppies and even small cliffs for the more adventurous. A walk to our back boundary and back will take you over steep hills to see far-reaching views of this unique landscape, beautiful rock formations and fossils, a wonderful array of plants and magical small ravines that children love to explore. This walk is an adventure and may take several hours or less than one. Good hiking shoes and some sense of direction is a requirement! There are two well trodden paths to the river. 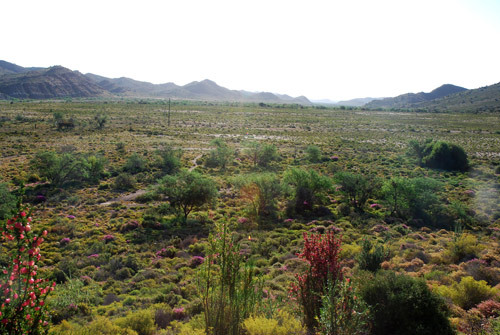 One is a ten-minute stroll from most of the buildings; taking you to a section of the river where you can cross over in the dry season to explore the southern part of the farm, (see rugged Karoo koppies below) or follow the river to clamber over fossil-laden rocks and sandy beaches further down-river to our swim hole complete with its own "clifton" beach when the river is full (only after good rains! please enquire when you make your booking). A second path takes you on a winding path through Acacia Karroo and Kareedoring thicket along the reed-covered and grassy river bank. This walk takes about 10 minutes at a leisurely stroll from the Studio Flat. The Touw only flows after really good rains - if being able to take a dip is an absolute must for your holiday, please enquire before making a booking! 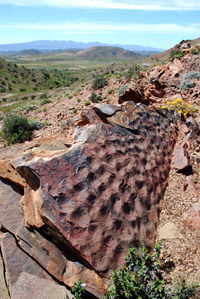 The river has an extraordinary array of different terrain. Find yourself a private little beach amongst the reeds, have a sundowner on the sandy beach by the swim-hole, meditate or do yoga by the rapids when the river is flowing; or paddle in the shallow water, exploring the rock -pools for pretty stones, tiny fish and crabs as if you were at the sea-side. Our nearest town is the lovely historical farming community at Ladismith (30km). Klein Karoo Kitchen is a must-visit for lunch (open Wednesday-Saturday). There are scenic drives through the Hoeko valley, Dwars Rivier valley and Buffelsdrift Conservancy around Ladismith. The spectacular Seweweekspoort is only 50km away and so is the beautiful Garcia Pass between Ladismith and Riversdal. 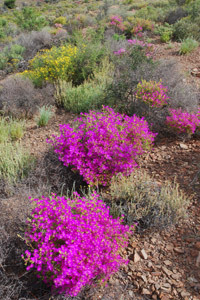 Or go via Van Wyksdorp and over the Rooiberg Pass for a breath-taking descent into Calitzdorp. 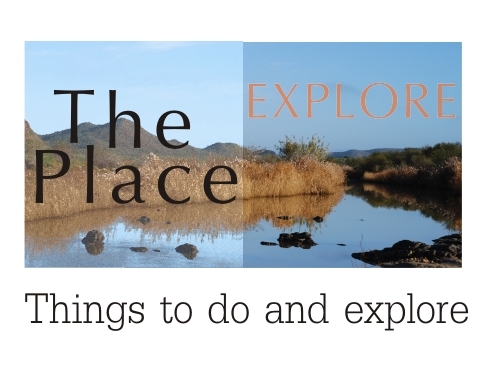 Barrydale with its restaurants, art galleries and craft shops is always worth a visit, only 70km away. Still Bay is within easy reach for a day at the sea-side. Oudtshoorn (140km) offers trips to the Cango Caves, animal safaris, the world-famous Swartberg Pass, Die Hell, Prince Albert and Meiringspoort.